SQL Canada (SQLCAN) | Anything SQL (SQL Learnings); lessons, fun stuff, playing around wth SQL Server! When watching the February 2019 update video and learning about the new Filter Pane experience (in preview). I learned about another feature, which had gone again unnoticed by me. I am trying to keep on top of new features, but it is a daunting challenge. Anyhow when I first heard about the “Slicer Pane”, I went hunting under visualizations, options, properties for a slicer on how to make a pane out of this. With no luck, I was getting frustrated. Where was this functionality, because it was annoying so much of my page space was stolen by slicers. To get around this, I created a page for slicers, and relied on slice syncing. Which was good, expect when slicers didn’t update as expected under sync scenario. Then like any good IT geek, I took to Bing! (Yaah! I use Bing!) and found video Guy in Cube). So learning about slicer pane was cool. What made it more cool was it was not a new feature, rather it was creative way to use bookmarks. Build slicers you need for the report page. Build a button to show slicers. Build a button to hide slicers. Build a bookmark where slicers + hide slices button is visible but show slicers button is hidden. Build another bookmark where show slicer is visible but slicers + hide slicer button is hidden. You can make this a bit more fancy by booking box around it, but it is just steps above. Let’s walk through an example. I have a simple report with graph showing sales by product. It has two slicers by product category and region name. I want to change the slicers into a slicer pane to allow for bigger graph view. So first, I’ll create a box around my slicers and grow my graph. So slicers and box over lap with graph. Then I’ll make sure the view order is correct (under Format for visual, or by using the selection pane). So when slicer/box is visible they on top of the graph. Next I add couple of buttons (I chose right/left arrows). One button will be used to hide the slicers and another to show them. Next we are going to create couple of bookmarks, name them “Show slicers” and “Hide slicers”. Right now they are just place holders, we will update them later. Now we’ll open the Selection Pane and hide the left arrow button and update the Show Bookmarks. Next we’ll hide the right arrow button, slicers, and the box and update the Hide Bookmarks. We are have the main work done, now we just need to program the action for each button and we have a slicer pane that can show up on demand. While having the right arrow selected, update the action property. To bookmark, and set the bookmark to “Hide bookmark”. Next select having the left arrow selected, update the action property again. This time set it to “Show Bookmarks”. Now you can test the behavior out in Power BI Desktop by CTRL+Left Clicking arrow to making sure it works as intended. So this was cool learning for me :). Here’s to more Power BI learning! PS With this post I am caught up for my promise of one post/month :). Now the next challenge not to fall behind again. This is a continuation of the post from last week. Where I discovered by accident smart guides. Next thing I discovered was Syntax Highlight. Again another update — rather preview feature — I missed. I tell customers to update their PowerBI Desktop frequently as Microsoft updates it monthly. However, I get caught in daily grind and forget about my own updates. So I miss important functionality that will make my life easier. I was working on a function in Power Query Language (M Language) in advance editor. However, I was running older version, so editing code was in single color (black). Now most of the code for Power Query is written by Power BI (thank-god). But if you had to do some custom coding, then you are on your own. No syntax high-light, now brackets intelligent. It got very frustrating when working on a more complex code. Again, I was jumping up and down. Because I hated writing all black code. I am a developer at heart. And all Microsoft IDE have syntax high-light. It was a big disappointment PowerBI did not have this. Next thing that was disappointment in PowerQuery no intellisense. Whoever heard of Microsoft products without, I was in hell. Dam it! Looking up references for each function was nightmare. This update made that pain go away! Yeeeh for preview features *bows*. See, my PowerBI life is complete! Yes! Well until the next thing that gets me all happy :). It seems all I am teaching for last year is PowerBI. 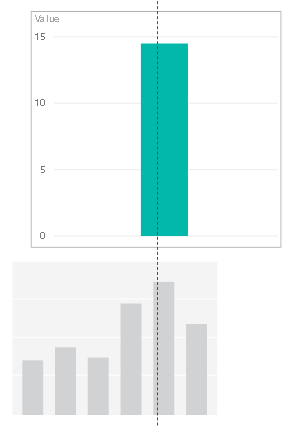 In my on journey to learn PowerBI development, one of the biggest things I hated was lack of alignment options in visualizations. This is handy but it was still annoying because coming from other Microsoft products that have guides right on-screen for alignment, this was nice but was a big miss for me :(. Next my pain was, if I want all the visuals to be the same size, now what? There is no option for same size under format. This was again handy but still annoying. Because doing this for each visual is painful. To come over this I can use snap objects to grid, which helped a bit was not enough. So when I discovered the guidelines I was in cloud 9 for a while (I am amused very easily these days :P). I am very lazy in updating in my PowerBI Desktop, and I am further busy with reviewing all the updates released each month. So I had completely missed this update from January 2019, Smart Guides!~ Discovered this while helping client build reports. If you don’t have the newest version, I recommend updating it. If you are running older than January look at preview options. Anyhow, now when we move objects around we start seeing red-line to let me see the smart guidelines. For bottom of object alignment, top of object alignment, center of an object, plus to help with sizing to make sure they are same size. PS. This is post for Jan 2019. I am a bit behind, goal was to get one post/month. So I hope to catch up for Feb post and Mar post before end of March :). Many times the administrators ask about the transaction log size limit and how to shrink it. Even the log records are not managed properly and at last fill up the disk causing no longer changes to the database. The size of transaction log file will increase due to various reasons like long running transactions, lack of log backups and incorrect recovery model configuration. 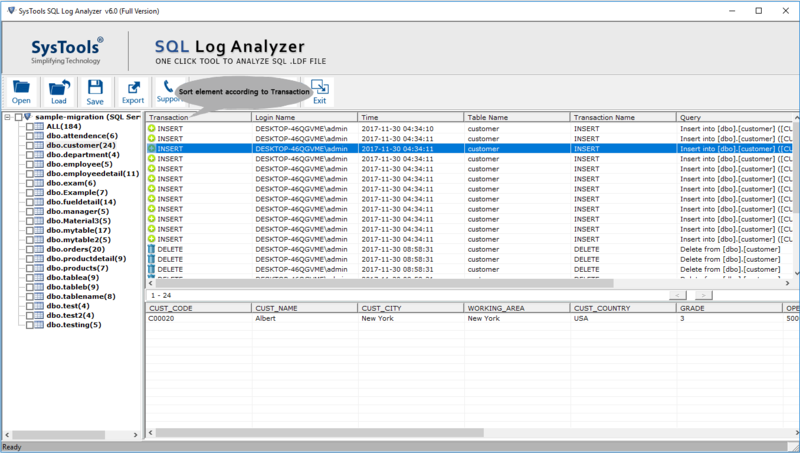 Thus, it is necessary to reduce the size of transaction log in SQL server. 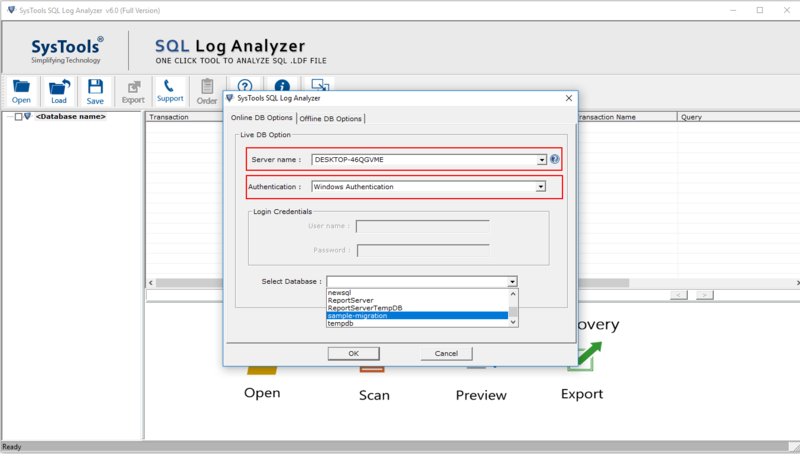 Now, in this blog, we are going to discuss a step-by-step procedure to shrink transaction log in SQL Server in an absolute way. c) Choose Tasks, Shrink, and then Files. Then, choose the file type and file name. d) Alternatively, check the Release unused space check box. If you select this option that causes an unused space in file to be released to operating system and shrink files to the last allocated extent. It will reduces the size of a file without moving any important data. g) Alternatively, choose the Empty file by moving data to other files in similar filegroup check box. Select this option that converts all data from specified file to other files within the filegroup. The empty files can be deleted. This option is same as executing DBCC SHRINKFILE command using EMPTYFILE option. You must have to replace TestDB_log with logical name of a transaction log file you want shrunk and change 1 to number of MB you wish the transaction log file shrunk to. If the SQL database is available in FULL recovery model you can set it to SIMPLE, perform DBCC SHRINKFILE cmdlet, and go back to FULL if you do not care about losing data in the transaction log. Nowadays, most of the people are aware about how to shrink transaction log in SQL server e., Office 365 Backup. Sometimes, there is an unexpected delay, the log truncation will occur after the checkpoint or after a log backup automatically. Therefore, in this blog, we have explained the manual solution that will help to reduce the size of transaction logs. Make sure you follow each step very carefully. If you are an SQL admin or user, you must be familiar with the term” fragmentation.” In every SQL Server, indexes get fragmented as the database usage is increased. Fragmentation within a limit is harmless, but as the fragmentation percentage increases, it affects the database efficiency. Keeping this situation in mind, this post will discuss methods of managing SQL Server database fragmentation. We will also talk about other matters related to SQL Server database fragmentation. SQL database indexes help your database to perform properly. Whenever an SQL Server is used for a query, view, or data retrieval, indexes are being used one way or another. Especially in case of lengthy database operations, support from properly managed indexes is mandatory for correct and fast result. Along with the database usage growth, page split keeps occurring and at the same time those page indexes keep fragmenting. That is how fragmentation occurs in SQL Server. There are two types of index fragmentation: internal and external. External fragmentation means the logical page order is not similar to physical page order. Internal fragmentation happens when there is too much white space on the pages. Fragmentation forces database to go through multiple index entries to process a query. As a result, it takes more time to use SQL Server to execute any query. The situation gets worse when you need to fetch data from a read-only table quickly, but in case of dynamic table without any page split it does not matter much. So, we can see that the effect of index fragmentation depends on index usage and category of table that is being processed. For this reason, there is no fixed SQL Server database index fragmentation value that can be considered universally standard. Users need to consider their specific requirement and manage database fragmentation. This process of fragmentation is impossible to avoid, so the only option left is to manage index fragmentation properly. Considering the importance of this process, most of the SQL experts consider it as a regular task. In this segment, we will learn how to manage the fragmentation in SQL Database. avg_page_space_used_in_percent: This column shows how much database space is used by the pages. The value is shown in percentage and indicates internal index fragmentation. avg_fragmentation_in_percent: In this column, external index fragmentation percentage can be viewed. For Heap Tables and Tables with Clustered Indexes, this column shows different values. fragment_count: This column displays continuous data fragments in the index. If you want to keep the index fragmentation rate in control, make sure to apply these measures for your SQL Server database. The most useful technique to manage the Index fragmentation is to set Fill Factor settings. In this parameter, users can set the data page fulfillment percentage reaching which only, an index will be created. The value has to be entered between 1 to 100 where 100 means an index will be made when a page is 100% full. Remember that Fill Factor is only used during the creation, rebuilding, or reorganization of an index. If you want to set instance Fill Factor you can use sp_configure, but it is not recommended. As mentioned earlier, there is no fixed standard for index fragment rate. But there are some common practices among the SQL users if their index fragmentation percentage reaches a certain level. If the SQL database fragmentation rate is 0 to 5-10% you do not have to do anything. If it is between 5-10% to 30%, you have to REORGANIZE your indexes. If the rate crosses 30%, i.e., it is within 30% to 100%, people usually REBUILD the indexes. Using ALTER INDEX REORGANIZE command, users can reorganize their indexes and keep the index fragmentation in control. All indexes can be reorganized at a go by mentioning All during the command execution. When this command is running, the Tables can be used simultaneously. Irrespective of the Recovery Model, this operation gets completely logged in Transaction Log. Depending on the fragmentation rate, it can take more space in the Log. When the database is highly fragmented, ALTER INDEX REBUILD command is used. It can be used to rebuild all the database indexes. During its execution, users cannot use the database. Based on the database recovery model, this gets included in the Log. In full recovery model, the operation takes a lot of space to get completed. The article thoroughly discussed various approaches of managing SQL Server Database fragmentation. By reading the entire write-up, users will get a clear idea about the concept of SQL Server index fragmentation and they can secure their database from its adverse effect. Lost I guess. I had to put my blog on the back burner while I focus on life and work. I hope to come back to it this year. Hopefully with more topics than just SQL Server. Lately, I find I been only teaching PowerBI. So as time permits, I’ll get posts rolling her this year :). New year resolution; 1 post-month :). Have you ever wondered that you are working on Microsoft SQL Server and database shows some abnormal file crash or error issue? And, when you execute the DBCC CHECKDB command, it reports corruption in your SQL Server database. Definitely, this scenario is a nightmare and the saddest part, it is frequently faced by many SQL database administrators. So, The long wait is finally over! Here, we are going to tell you what step should be taken when the SQL database gets corrupted. Thus, one can secure its confidential and important database in any data disaster situation. But, before understanding the method, a user must know about DBCC CHECKDB and which type of corruption it is reported? Without wasting any minute, Let’s begin! DBCC CHECKDB is a type of T-SQL command whose prime function is to monitor the logical as well as physical integrity of all object in a selected database. DBCC CHECKDB command is supported on SQL Server 2005, SQL Server 2008, SQL Server 2008 R2, SQL Server 2012, SQL Server 2014, SQL Server 2016, SQL Server 2017, Azure SQL Database, and SQL Server 2019. Furthermore, it comprises three main commands in it for different purposes. DBCC CHECKALLOC – Its function is to verify the organization of disk space allocation or page usage for a selected SQL database. Besides this, it also checks various internal structures to maintain the record of allocation of all pages in the database as well as relationship between them too. DBCC CHECKTABLE – This Transact-SQL command is used to check the logical and physical consistency of the pages and structure that create table or system table indexes. DBCC CHECKCATALOG – This command is used to perform various catalog consistency between system metadata tables. For the execution of this T-SQL command, the database must be in online mode. The above-described command runs as a part of DBCC CHECKDB. If the user executes the DBCC CHECKDB command, then there is no requirement to use all these commands separately. In case, when the database DBCC check reports any error, just take the help of following solutions in order to save the important database table. In the following section, three different workarounds will be described to restore data objects from a damaged or corrupted SQL database. A user can go through all these methods and select that is appropriate. When the DBCC CHECKDB reports corruption error, then you can use Repair command on the specified database. It is devised to fix all the reported error. However, the biggest disadvantage of this method is it leads to data loss. Even, when the user uses this command to extract the database from last clean backup, it results in more data loss. In fact, Microsoft does not recommend this method suitable to recover data from the good backup. It is marked as an emergency option that can be used when the data cannot be recovered from the last backup file. If the last good backup of database is available, then it is better to recover the database from it with the help of RESTORE DATABASE command. With the help of Restore statement, one can perform multiple operations. Retrieve only a part of SQL database. Recover specific pages of a database. Extract complete database from full backup. Capable to get back a transaction log onto a database. Provide an option to restore only desired file or filegroups. In case, when the user does not have a last clean backup of the database, then the Restore command does not work. The above two solutions have some consequences, so it is better to show your trust in a reliable solution because data loss cannot be ignored. That is why many SQL administrators uses MDF Repair Tool when DBCC CHECKDB shows any data corruption error. This utility has an advanced scanning technique that scans the highly corrupted primary (MDF) or secondary (NDF) file. And, recover the data object such as triggers, tables from it. 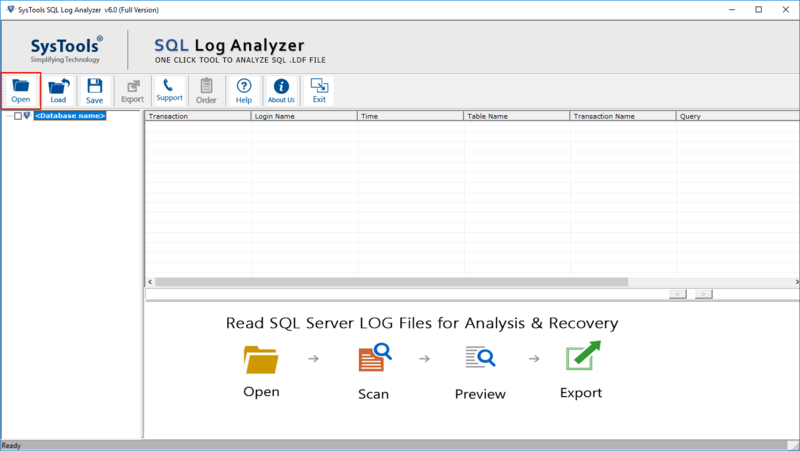 The great part of this software is user can export the recovered file in SQL Server Database or SQL Server Compatible SQL Scripts. 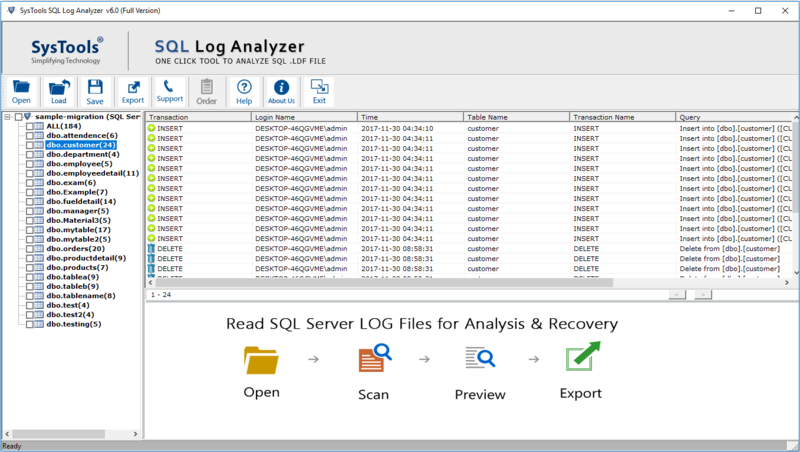 Moreover, SQL Database Recovery Tool supports to repair corrupted Database of version 2017, 2016, 2014, 2012, 2008, 2008 R2, 2005, 2000. It is a head-scratching situation when the SQL database got corrupted and no relevant solution is not in the hand. So, after considering this painful situation, in this article, we have discussed about DBCC CHECKDB that reports error in the database. Along with this, three different solutions have illustrated to recover data from corrupted SQL database. Are you getting SQL Restore database error 3154? Needs an appropriate solution to fix it? Do not worry, you are landed at the right page. In this blog, we are going to explain different methods that will help you to resolve SQL error 3154. Before moving towards the solution, let us understand all possible reasons that are responsible for SQL database error 3154. For log shipping, more than one database was configured. Transaction logs for databases were backed up to similar folder. The only difference between both database names is “_tlog”. For example, xyz_test and xyz_test_tlog. a) Use WITH REPLACE while using RESTORE command. b) Delete old database which is conflicting and again restore with the help of RESTORE command. Click OK button. It should restore the database successfully. Note: When you restore the database WITH REPLACE it will overwrite an existing database. Most people face challenges while implementing the manual method. Thus, to overcome all the problems faced by non-technical users while executing the manual steps, it is recommended to opt for an instant solution. 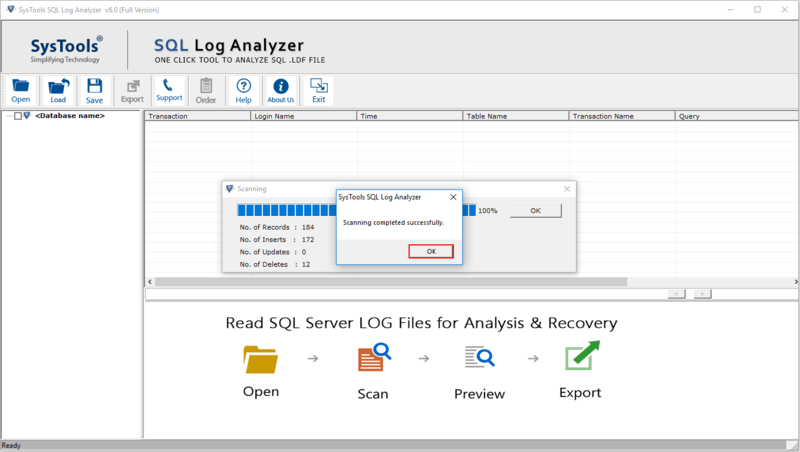 One such application is SQL Backup Recovery Tool. 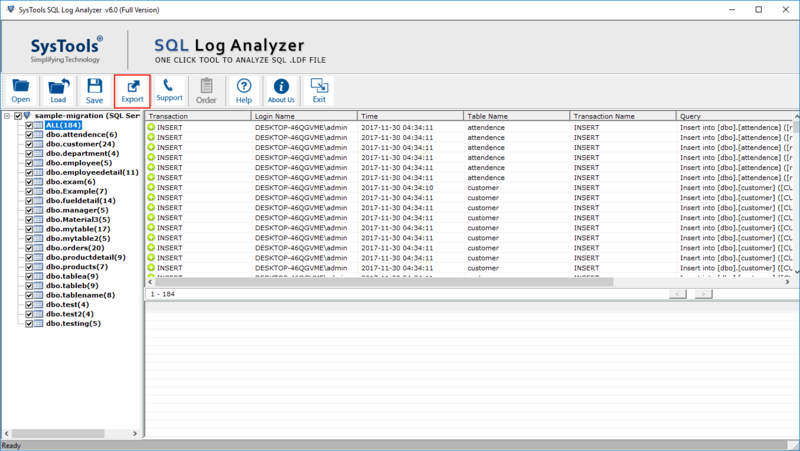 With this utility, users can repair corrupt SQL Server bak file without any risk or data loss. The tool is capable enough to repair both primary (.mdf) and secondary (.ndf) SQL database. It is having user-friendly interface, with some useful features. SQL Server is used by several users across the globe to manage and store their crucial data. While restoring the SQL database, the user may encounter an error message “The backup set holds a backup of a database other than the existing database Error 3154”. 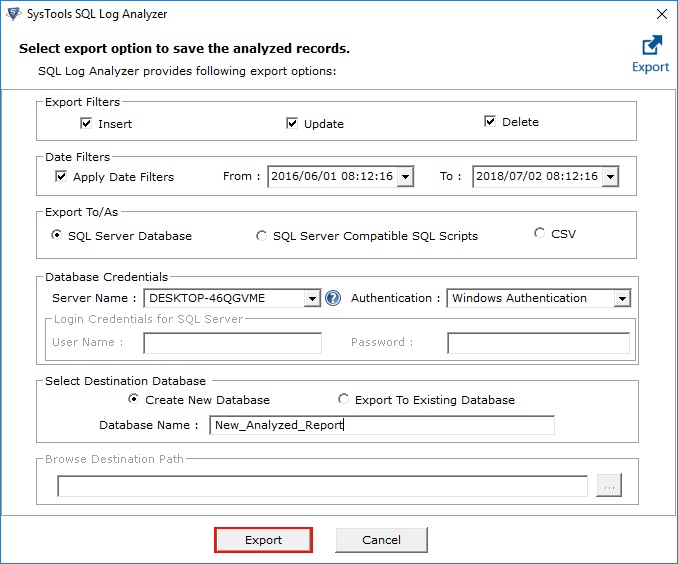 Therefore, in this blog, we have discussed the step-by-step process to fix SQL Restore Database Error 3154. But, at times, it becomes very difficult for a user to implement the manual steps. Thus, users can make use of a commercial software that is SQL backup Recovery to repair a corrupt bak file.